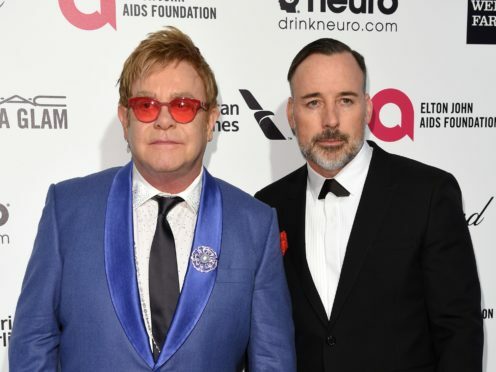 David Furnish has admitted working on Sir Elton John biopic Rocketman has left him suffering “sleepless nights”. Starring Taron Egerton as Sir Elton and Richard Madden as his manager John Reid, the highly anticipated film is billed as being “based on a true fantasy” and will feature songs from the revered singer’s extensive back catalogue. Canadian filmmaker Furnish, who married Sir Elton in 2014, has been working on the film for more than 12 years and described it as a “labour of love”. But he admitted feeling pressure in dealing with Sir Elton’s legacy as the couple’s two sons, Zachary, eight, and Elijah, six, will inherit it. He told the Press Association: “It’s been an interesting challenge for me, I’m super excited. As a filmmaker it’s a wonderful opportunity and I want to do the best job I can. “But I’m also responsible for making a film about my husband. And our sons are going to inherit that legacy, so the legacy we leave with that film – cinema is such a powerful thing – we want to make sure we do our best to get it right. Also starring Jamie Bell as Sir Elton’s writing partner Bernie Taupin and Bryce Dallas Howard as his mother, Sheila Eileen, Rocketman charts the British singer’s rise from prodigy at the Royal Academy of Music to global superstar. Furnish, 56, said Sir Elton, 71, wanted to ensure his unique life story had an appropriately special film to celebrate it. He said: “In typical Elton fashion he said ‘I don’t want a straightforward biopic, my life has been too crazy to just tell it in a very linear, unimaginative way’. Rocketman is due to be released in the UK on May 24.